Speaking of espionage, in April of this year William Boyd was announced as the writer of the next official James Bond novel, following in the footsteps of Sebastian Faulks and Jeffery Deaver. Book Glutton expressed his disappointment at the news in this post, reasoning that Boyd writing a new Bond novel meant that he wouldn't be writing a new Boyd novel, but I'm actually cautiously optimistic, as Boyd's Bond book, unlike Deaver's (Carte Blanche, 2011, which I didn't get on with at all), will be period, i.e. set in 1969, which would place it just post-Colonel Sun, Kingsley Amis's rather good 1968 pseudonymous contribution to the Bond literary canon. Even more promisingly, Boyd cites perhaps the best of Ian Fleming's original novels, From Russia, with Love, as his favourite Bond novel. 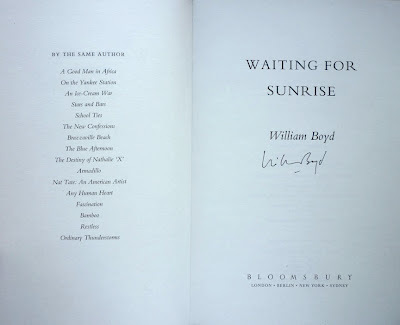 Given that Ian Fleming Publications seem intent on adding to the literary Bond's adventures, Boyd strikes me as an interesting choice to pen a Bond novel, particularly one that's set to be published in 2013, the sixtieth anniversary of Bond's debut in Casino Royale. 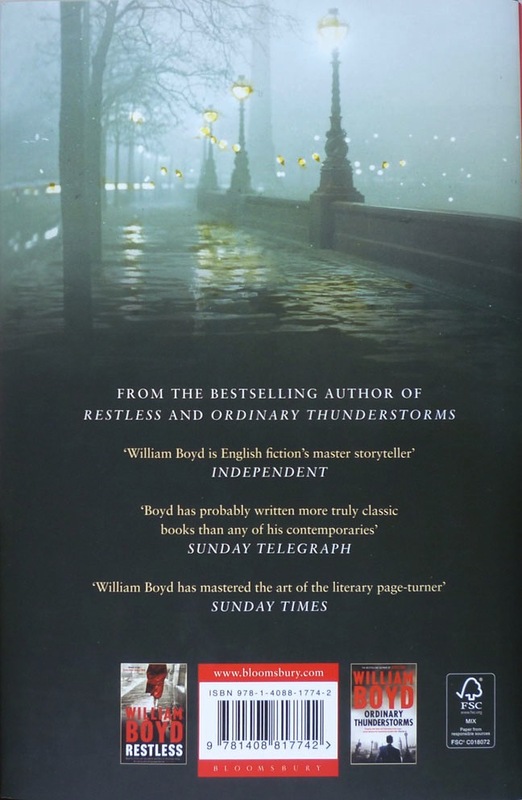 I've read Restless (one the Costa, you know:) and liked it well enougth. I started Waiting for Sunrise but didn't get too far in to it before (temporarily) setting it aside. I usually don't treat his books that way but I wasn't in the mood for pre-WWI Vienna right then. Such fickleness undercuts my rant against him taking up the Bond mantle, I realize. Also, Ian McEwan has a spy thriller coming out soon - concerning the recruitment of a female spy at Cambridge in the early 70s. I guess literary spy novels are now the zeitgeist. 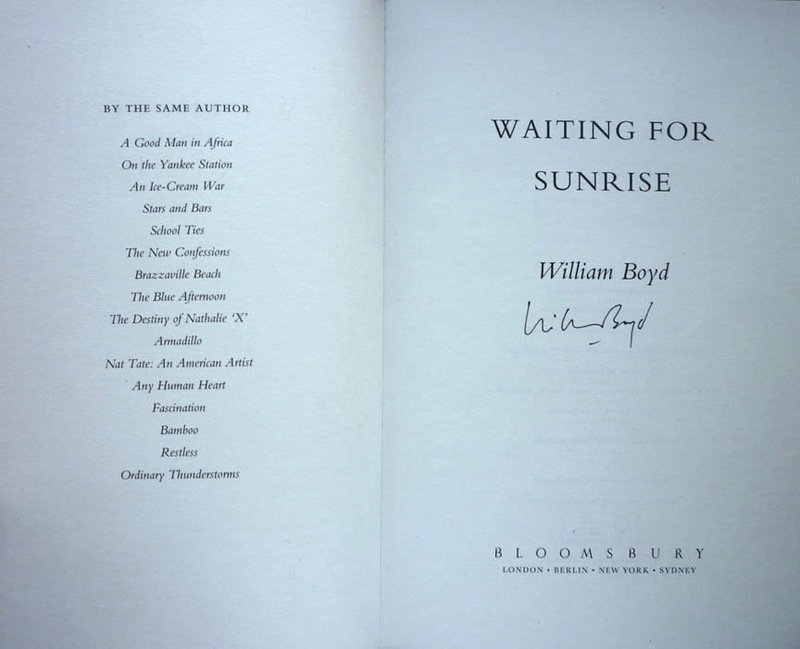 I've noticed a trend with UK hard cover first editions - a smaller print run but with signed copies available as part of the purchase. Glad you got one. Gordon: You mean Any Human Heart? Yeah, I started watching that but gave up after the first episode. 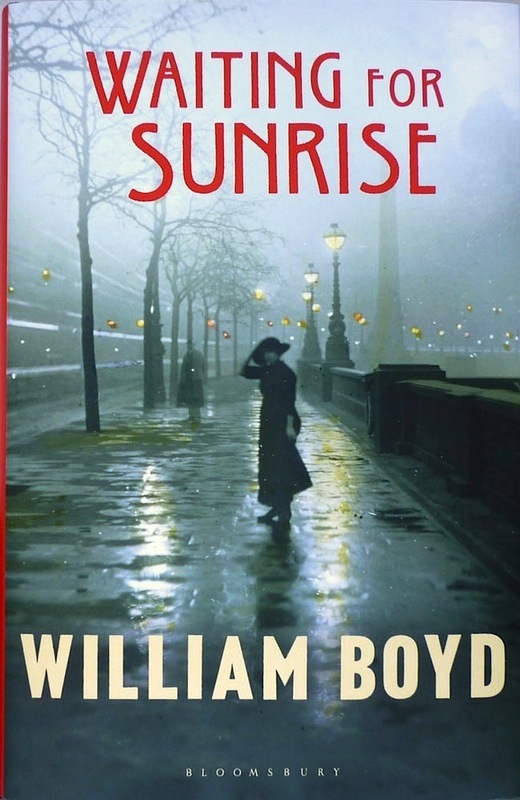 BG: Your argument re Boyd writing a Bond novel is a valid one – it will mean he won't be devoting time to one of his own works. 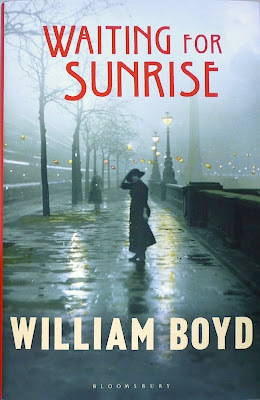 That I'm more enthusiastic about a Boyd Bond than you are doesn't undermine your point – I think if I'd read more Boyd, I might well feel the same way. Ian McEwan's written a few spy thrillers, hasn’t he? At least ‘The Innocent’ (which, if memory serves is a cold war affair) it's something he's indicated a weakness for. That said it’s not uncommon for literary writers to go slumming in the espionage ghetto. Yes, The Innocent is sort of a gory, Cold War thriller. 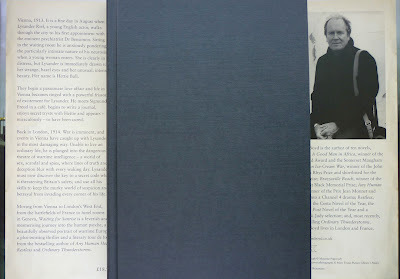 It is not McEwan's best book but it is one that could serve as a good intro to McEwan for EE. The New Yorker published an excerpt from Sweet Tooth, his new novel, in April. I've got three McEwans still sitting on my shelves, unread: Enduring Love, Saturday and On Chesil Beach. I'll get round to one of them at some point I expect!